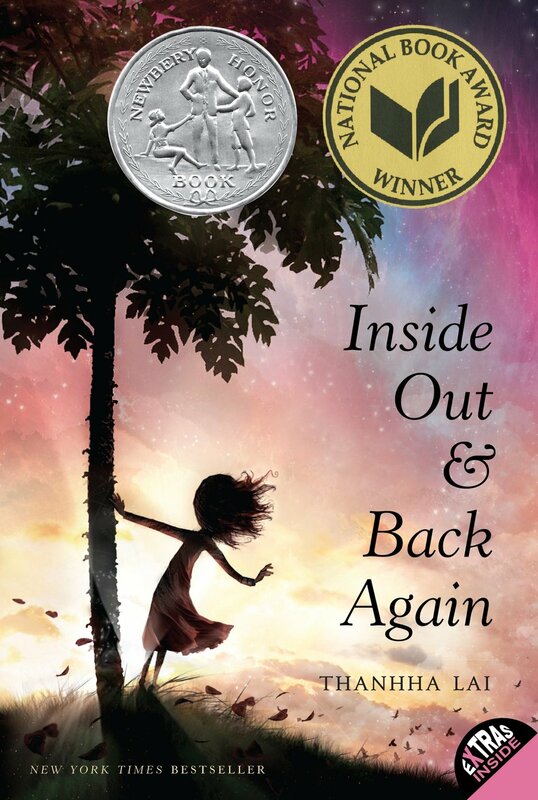 I should have read Inside Out & Back Again years ago, because I loved it. Loved it. It follows ten-year-old Hà as she and her family escape Vietnam just before the fall of Saigon; as they travel on a ship full of other refugees, eventually ending up on Guam and then wait, wait, wait in a refugee camp. It follows them as they fly to Florida and then wait, wait, wait in another refugee camp; until they are finally sponsored—after changing their paperwork to list their religion as Christian—by a man from Alabama. It takes place over the course of a year, from Tết 1975 to Tết 1976. Even after the physical journey is over, Hà has to navigate attending an entirely new school WHILE learning a new language AND figuring out all of the unspoken cultural rules that everyone else in the community seems to take for granted. A few notes/thoughts on poems that especially struck me! I hate, hate, hate it. It's beautiful and funny and angry and sad and hopeful; it's about family and survival and home; it's about making friends and dealing with bullies; about people working to understand one another, trying and failing and trying again. It's a verse novel that reads deceptively simply—the words themselves are short and simple, but the emotions and the relationship and the cultural/social observations have the kind of depth and nuance that make this book one to read and re-read and re-read again.